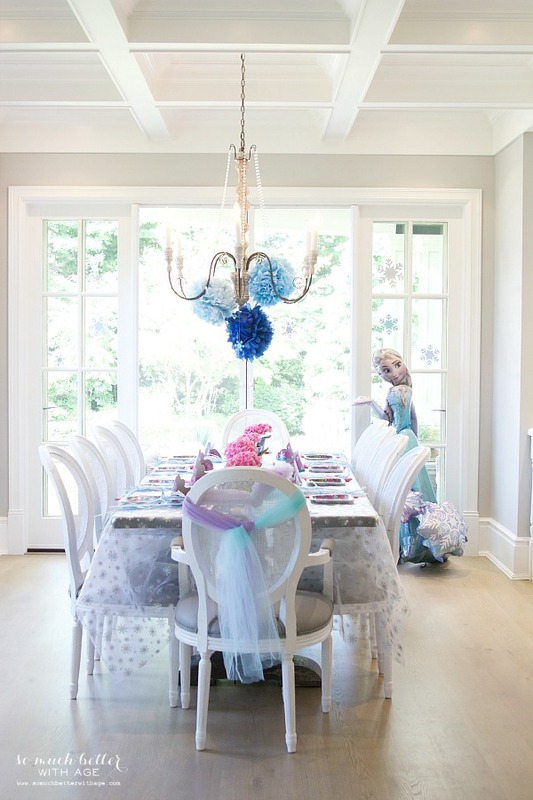 My bestie threw an elegant frozen themed birthday party and the pictures are amazing! 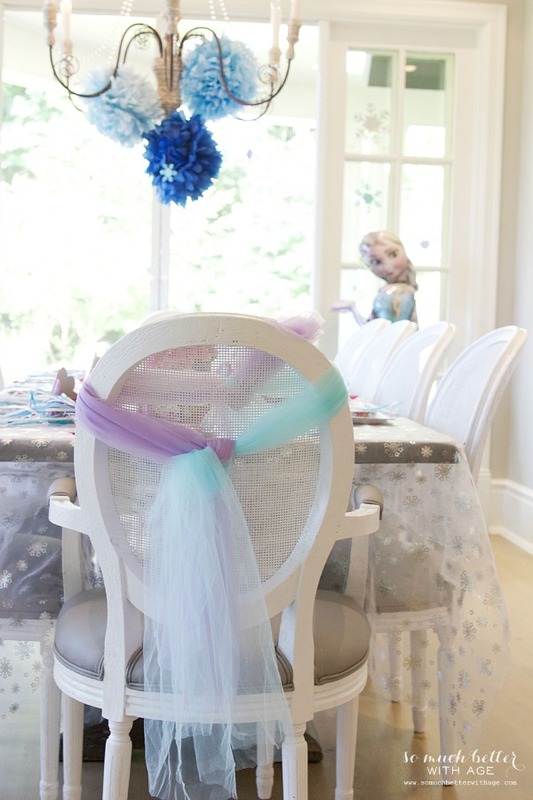 Earlier this month my bestie threw her daughter this gorgeous elegant Frozen birthday party. It was heavenly. The girls had an amazing time. I brought my camera and couldn’t stop taking photos! She did such an awesome job. 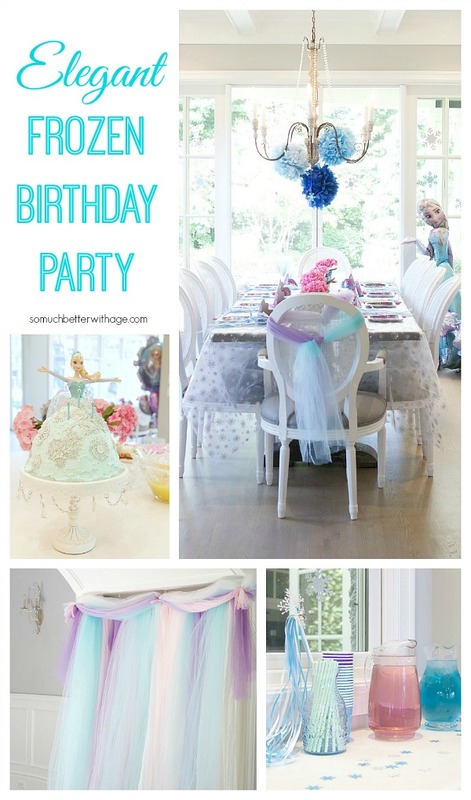 If you’re looking for a themed party idea that is easy on the eyes for adults and fun for kids, then here is your inspiration! 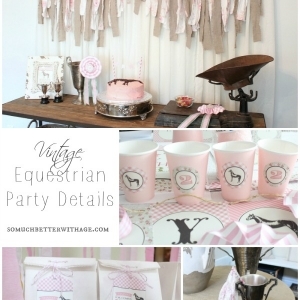 I love every detail. 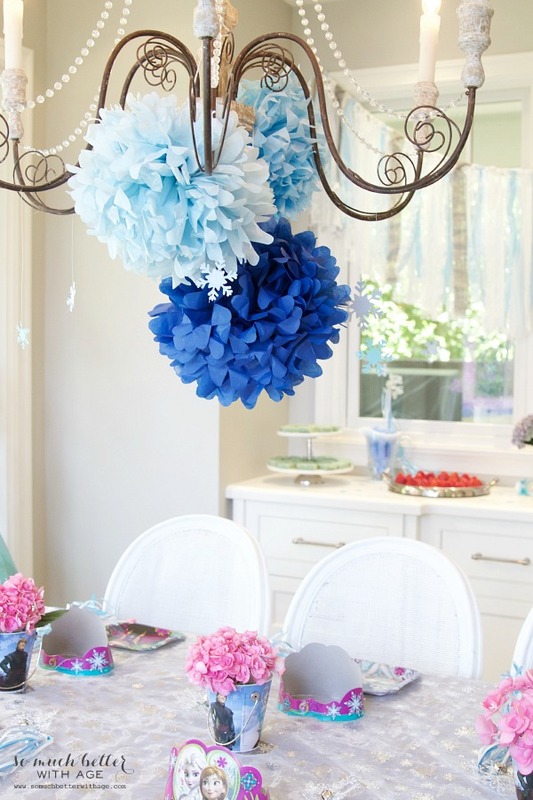 That snowflake tablecloth, pink flowers in Frozen buckets and blue paper pompoms. 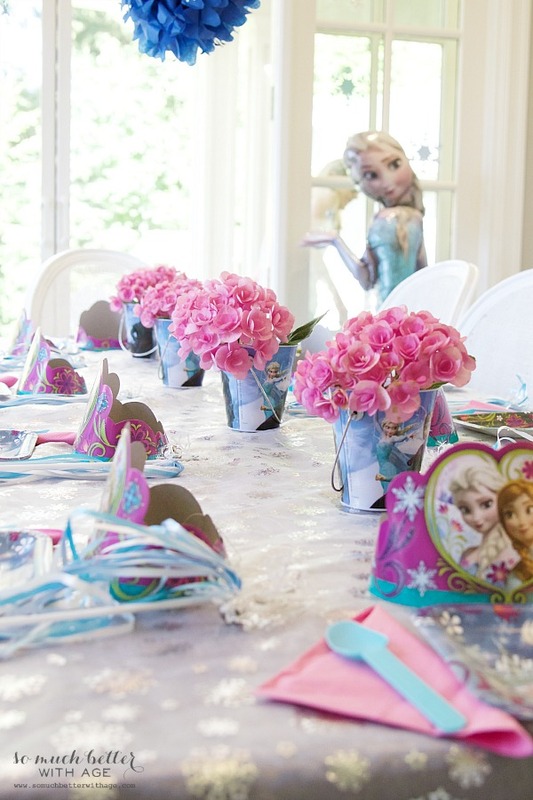 Each guest received a Frozen crown, a magic wand and a frilly skirt. 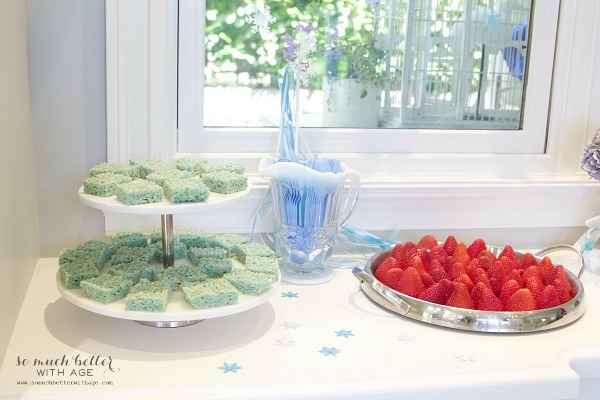 The Frozen food was delicious too! 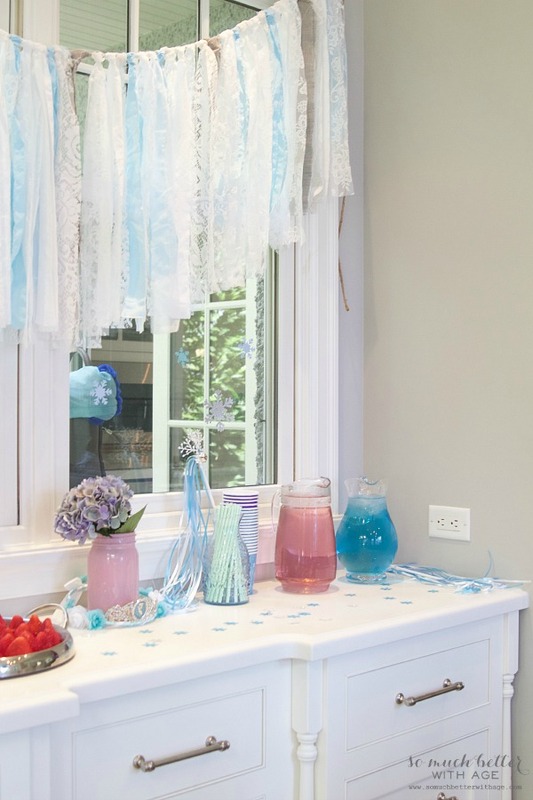 I love that garland and look at that pink and blue juice! 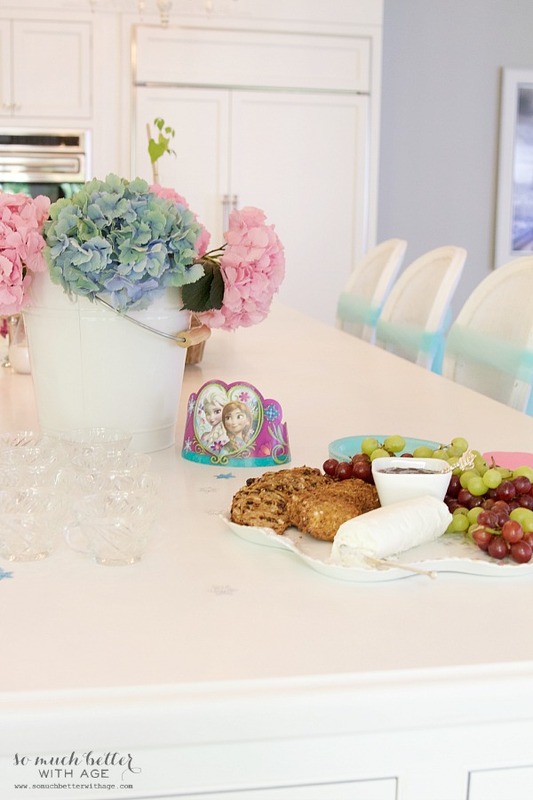 It was a late morning party so mimosas and cheese platters were readily available for the adults. 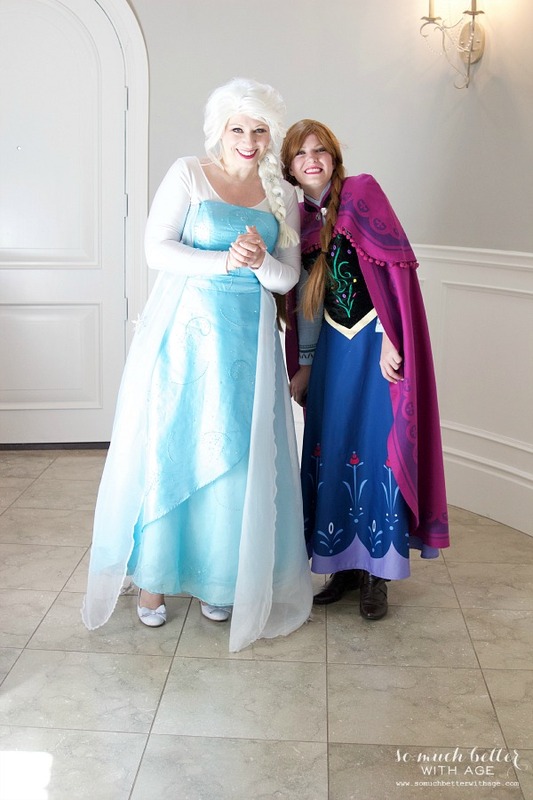 Then Elsa and Anna arrived and all the girls were in heaven! 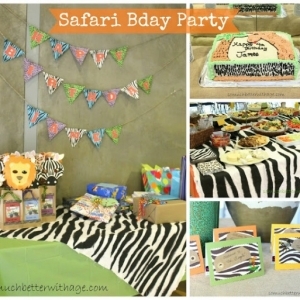 You might remember this backdrop from my daughter’s birthday party in January this year. 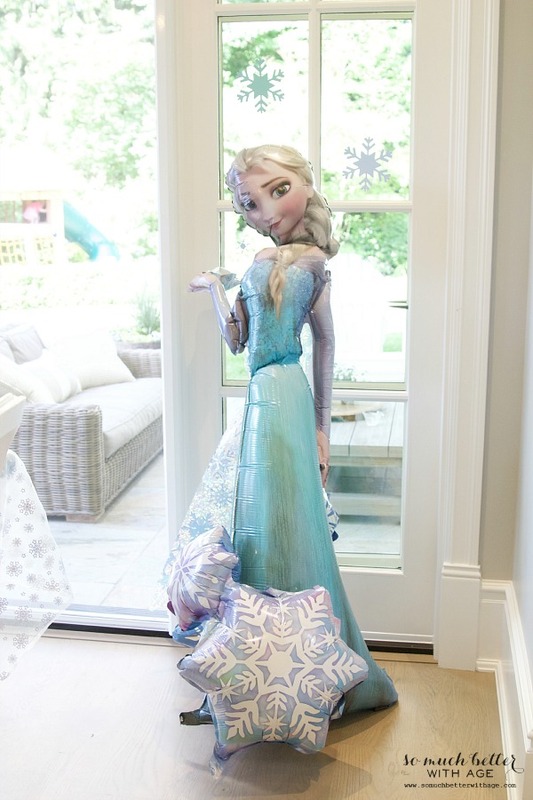 I came over and set it up so the girls could have photos taken with Elsa and Anna. 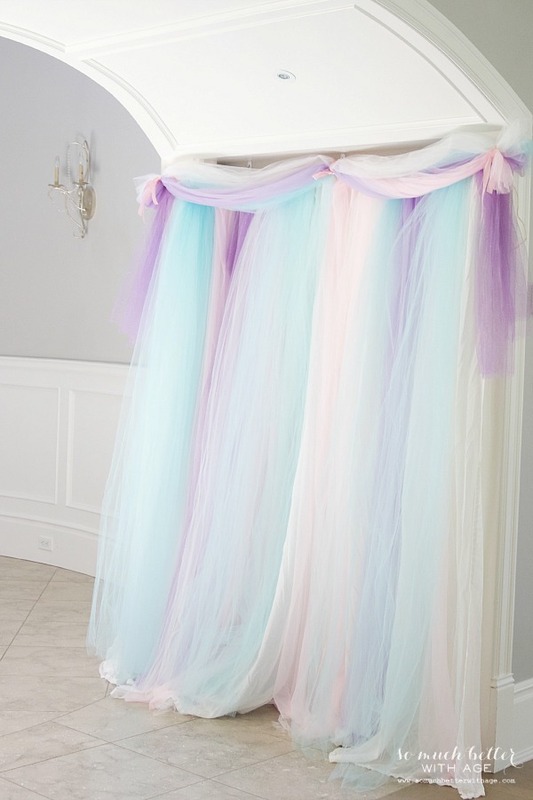 It’s amazing what bolts of tulle can do to a room! 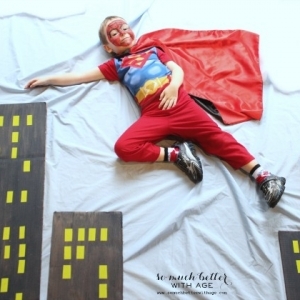 I might do a post on this backdrop coming up. 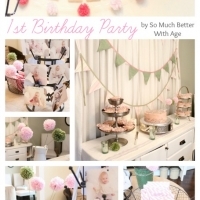 It’s really easy and doesn’t involve any sewing. 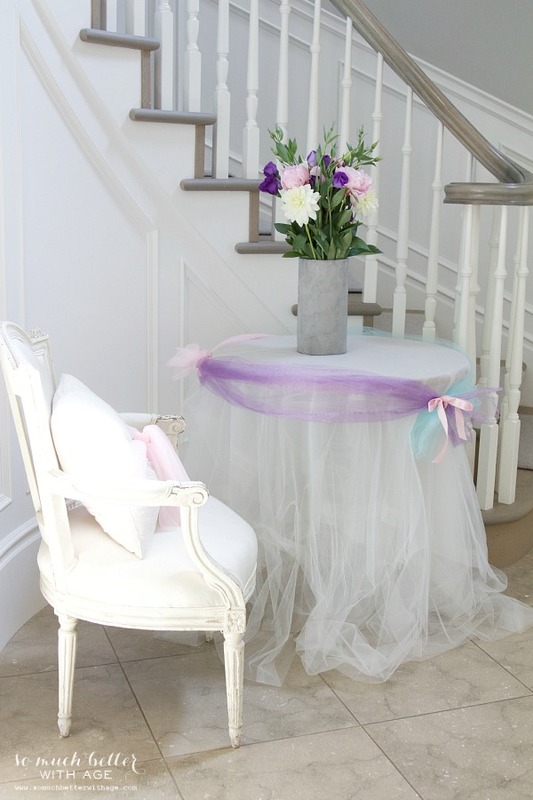 More tulle decor added to the foyer. The cake my bestie made was out of this world! 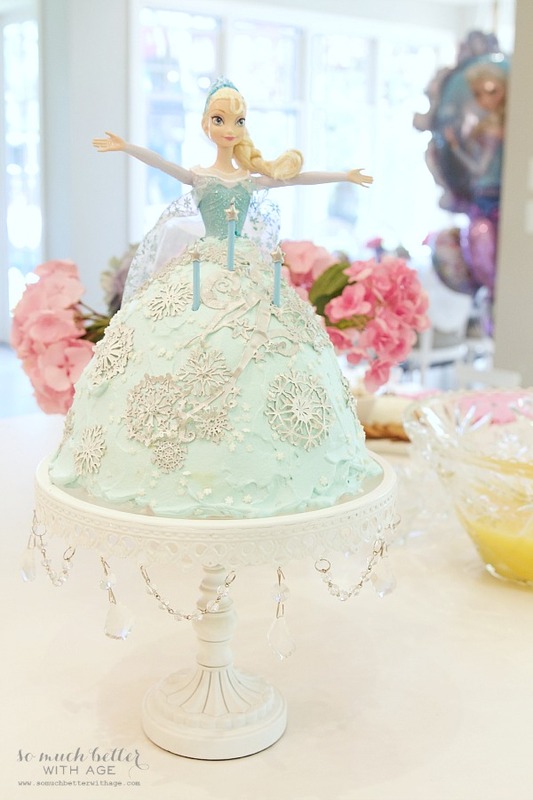 It’s an angel food cake shaped into a dome then an Elsa doll stuck in the middle of it. It was delicious even though it looked too pretty to eat. It was an amazing day with friends and magic. 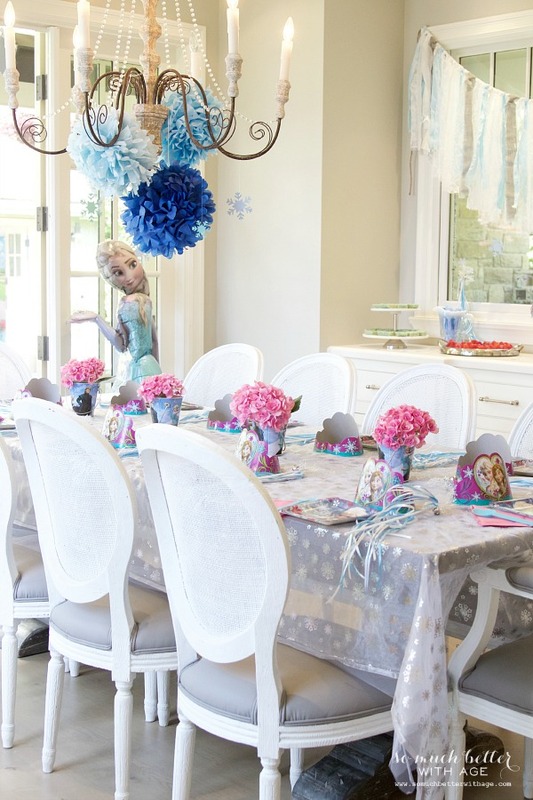 I love how a Frozen birthday party can actually be made to look elegant! 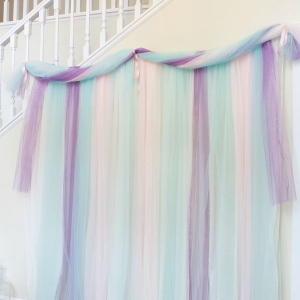 Party Curtains and Pompom Flowers! Oh It all looks so pretty!! Looks amazing. That cake is awesome! 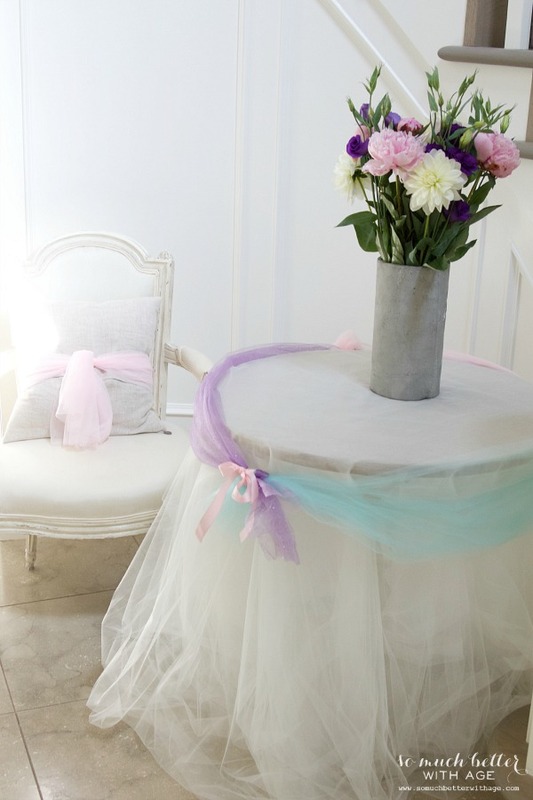 Beautiful decorating and great photo’s, Thanks Jamie!